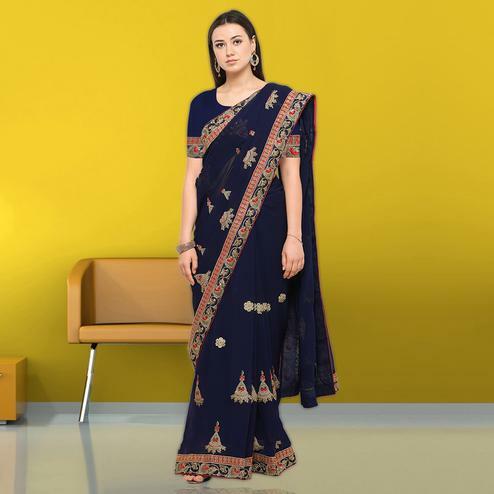 Enhance your look with this beige - dark blue color half and half style saree which has been fabricated on georgette and beautified with embroidered work patch in floral leaf. 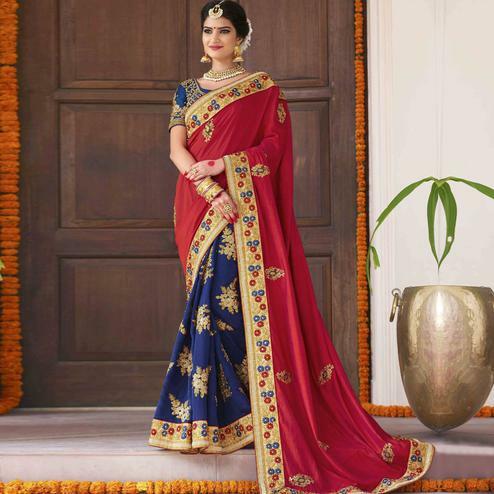 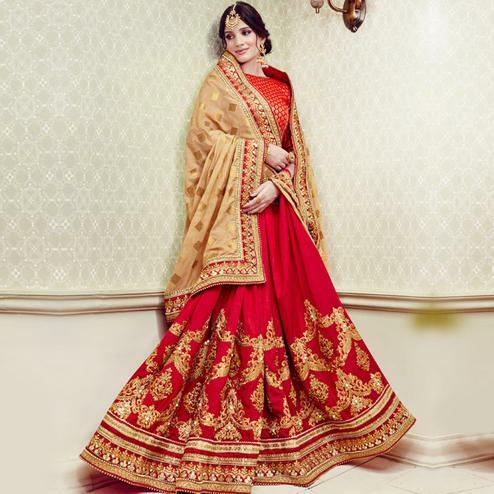 The saree border has been highlighted creatively design patch border work. 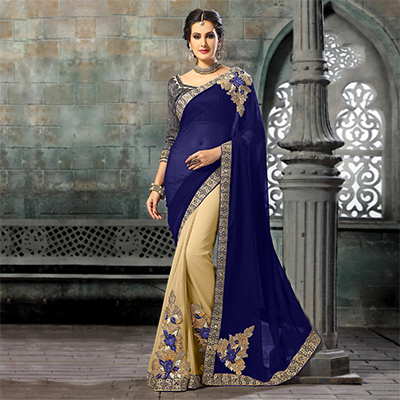 Available with matching color art silk blouse having similar patch border. 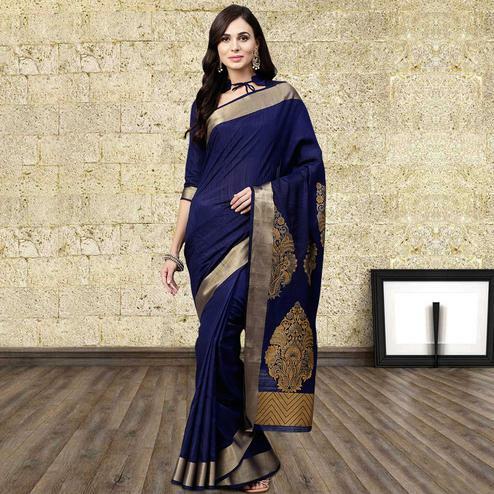 It's a perfect saree to wear for parties functions and occasions.